• You may recall during our INTERVIEW with Little Mix late last month that the girls made mention that their 2016 national tour would be bypassing Adelaide, but said they could be swayed if online petitions could garner more than 10,000 followers. So how’s that campaign going so far? As far as we can see, there’s a Twitter handle (@LittleMixToSA) which currently has 24 followers, a petition on Change.org with eight signatures and another on iPetitions with 30 signatures. Over to you, Adelaide. • Kylie Minogue has dropped her super-sweet new cover version of Yazoo’s classic ‘Only You’ as the official lead single from her forthcoming Christmas album. The new rendition features guest vocals by host of ‘The Late Late Show’ in the US, James Corden. It’s available as a grat track when pre-ordering the LP. • Samantha Jade will release her debut album ‘Nine’ later this month. The singer returned to the ‘X Factor’ stage last night to perform her single ‘Shake That’ and used the opportunity to confirm that the 11 track LP will drop on Friday November 20. 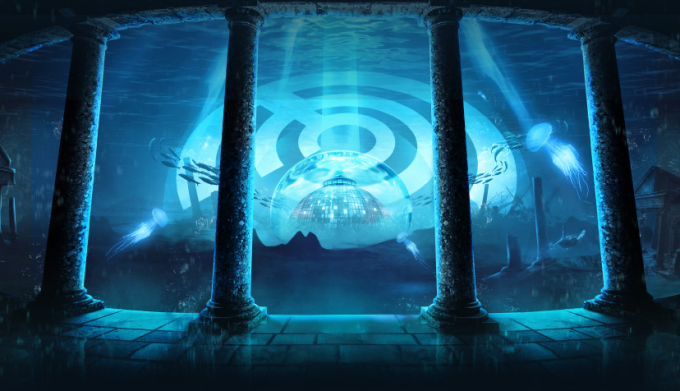 • Totem One Love’s 2016 edition of Atlantis looks like being a cracker. Crowds at Sydney’s Hordern Pavilion (March 11) and Melbourne’s Hisense Arena (March 13) will be bathed in “the lightness of love”, to the soundtrack of some of the best up and coming trance acts from across the planet. Tickets are on sale from December 10. • A new party in Melbourne aims to not only deliver some of the best names in local electronic music, but do their bit for the environment. Organisers of the city’s ‘Off The Grid’ Festival – at the ACCA forecourt on December 22 – will donate 100% of their profits to a renewable power plant. Revenue from said power plant will then fund the next party, with the idea that things just continue to evolve from there. Artists on the bill include Cut Copy DJs, Tornado Wallace, Banoffee and more. • And finally in your midweek edition of The Purge, organisers of Sydney’s Electric Gardens, being readied for Centennial Parklands in the new year, have confirmed the addition of Norman Jay MBE to the list of performers. He’ll join the likes of Fatboy Slim, Hernan Cattaneo, John Digweed and more for the January 23 event.